The past year has been exciting time from a research perspective. I have spent several months pondering, reading and talking to software vendors about the change that is taking place in the business models. I have been lucky to be the leader of more than 20 software products, both as head of development (CTO) as well as CEO. Two years ago, the market was not really talking about cloud computing other than saying that it might be coming. The situation is different now, even organizations such as Microsoft are announcing their plans and their need to provide cloud-based solutions. Based on Steve Ballmer’s March 2010 speech, about 70% of current Microsoft employees are working on cloud-related project today and that figure will reach 90% within a year. That is a very aggressive move from Microsoft and during Microsoft Worldwide Partner Conference (WPC) in July 11-15, 2010 Microsoft executives will give the direction for its partners for Microsoft FY11 how the cloud and cloud strategy needs to be part of Microsoft partner strategy. An established ISV that has to move to the cloud by replacing existing solution and having clients to move gradually to the new environment. The market is different today, even if many ISVs are still in denial that it will not reflect their business. This could be fatal for many as what I have seen is that there are new startups that don’t have the burden of legacy to think about and these new startups will come with solutions that are “good enough” for end users and suddenly the legacy ISVs realize that they are losing market share. This is the law of business and you just have to look at Nokia and how their dominance in the smart phone market is threatened due to newcomers that do not have to think about existing customers, converting existing solutions to a new platform and all of the stuff that I had to worry when building business intelligence solutions for enterprises. Our primary objective was to ensure seamless conversion from one database/application release to the other. Look at the mobility market. How successful do you think the legacy operating system supporters will be when there are new entrants that don’t have to worry about anything? I am sure you get my point. What is it that these traditional ISVs have to worry about when moving to the cloud environment? What kind of change are they looking at? To get to the foundation of this change, I felt that we had to have a good framework to build from. I looked at a bunch of different business model frameworks and ended up with an amazing model that is developed by hundreds of companies under the leadership of Dr. Alexander Osterwalder and they have created a fabulous book about this called Business Model Generation and it is written by Alex Osterwalder and Yves Pigneur. 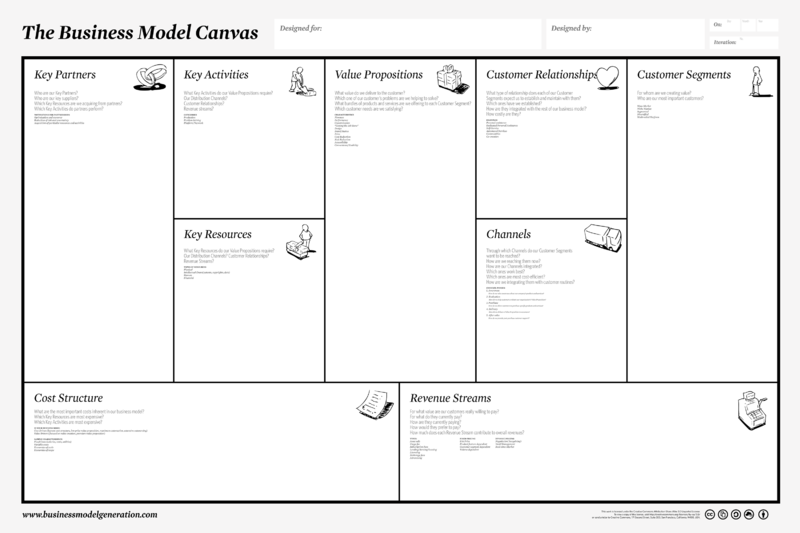 It was impressive of many reasons, but I think the main thing about the model is the business model canvas that portrays all of the needed elements that a company has to think about. 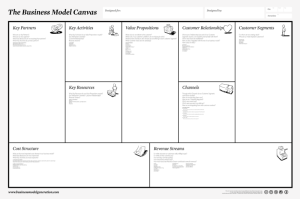 Let’s look the business model canvas from Alex Osterwalder. So, what has this canvas to do with software vendors (ISVs)? When you review the dimensions, it becomes pretty obvious. Let’s take one at the time. Value propositions: one of the fallacies that software vendors have is to build a solution that does everything. Without a clear and crisp value proposition, a software company really can’t grow. I have seen so many times startups with terrific engineers creating the best rocket ship that exist in the planet, but the rocket ship was something that nobody wanted in the first place. Key Activities: these describe the activities that you have to be very good at. In other words, you have to identify your core competencies that make the software solution tick and that you have the right type of approach to the development, whether it is traditional software or software based on the cloud delivery. Key Resources: In the end of the day, it is all about your people that make things happen. Key resources could be people, but it could also be physical assets, intellectual property that you might have or financial resources. Key Partners: Software vendors have relied on partnering as long as I remember it and Microsoft is a good example of this as more than 90% of their revenue comes from the partners. There are many types of partnerships, some are loose and some are long-term with common objectives for success. Revenue Streams: How are you going to make money on your business? Does your value proposition reflect a need on the market that organizations/end users are ready to pay for? Do you have a product that resonate a possible channel delivery model? Cost Structure: Your value proposition and product has to be created and delivered, and do you have a business model that can carry the cost? You get an immediate view of the overall business and how each canvas element impacts the overall business. When you start looking at the market segment for example, you get pretty quickly to a situation where you have to ask yourself whether the business model makes sense at all. The software market is undergoing a fundamental change and this change is also driving all types of vendors such as us to evaluate our value propositions and how to work with companies in the software space. Cloud computing is disruptive for the software market and this can be seen even with big players such as Microsoft and their move to providing cloud solutions such as Windows Azure, Microsoft Business Productivity Online Standard Suite (BPOS) and Microsoft Dynamics CRM Online. I like to define Windows Azure as the operating system in the cloud and targeted towards software vendors (ISVs) to build solutions on top of Azure. BPOS is also disruptive as Microsoft markets and sells it directly to end user organizations and the traditional Microsoft partners (classic partners) have to reinvent themselves with value added services that compensates the lost revenue of installing servers and management of other physical equipment. I know there are many Microsoft partners that are struggling, but this has nothing to do with Microsoft, it is a trend that is taking place regardless of vendor. I would like to conclude this blog entry by saying: I have seen fundamental changes in the software market during my 20+ years and the cloud is one that you really have to pay attention to. I said this during my PhD dissertation Evaluation of a Product Platform Strategy for Analytical Application Software defense in 2004, and I am saying this again today. Get ready, learn and find your own niche in it. Petri, long time no talk. For a Finn, Nokia has to be mentioned. The company moved from ten times present market value ten years ago, to the present $6,70 per share. It’s a remarkable slide from might to the a medium size technology company. The problems have been visible for years. Nokia never grasped the Internet and the Web 2.0. How about the cloud? Is there a space for thin clients in the future digital space of Internet-computing? What kind of products are we going to need? It’s not the iPhone but probably something like the iPad. What should Nokia do? MeeGo is still a Me too approach. What do you think? Should Microsoft buy Nokia and transform it to a mobile division? 1) When we emigrated to Texas, I was convinced that Europe and Finland was so much ahead of the mobility curve. There are many reasons for me stating this… I was CEO for a Finnish software company, running it from Texas…. and I saw how much more our European clients wanted to have within the mobility. 2) I was surprised that the US mobilty providers had a very narrow selection of Nokia phones that they sold to clients… My wife gave up t0 Motorola 7-8 years ago as she felt that there wasn’t a nice phone for her in the Nokia selection (she wanted to have a Nokia phone). Her selection was based on form, not functionality. 3) US was slow in adoption of mobile technology, but a few years back, things started happening… now I feel that it is US that is leading the pack in many fronts again… (not counting adoption in South-Korkea and Japan). People wanted to have NICE smart phones, and Nokia had nothing to offer here on this side of the Atlantic. Now we are seeing a rally of Android, RIM and Apple when it comes to Smart Phones. Windows Mobile 7 is going to be interesting to see how they compete in this space. 5) Apple, with its iPhone was laughed at and nobody laughs anymore. It is amazing how many iPhones I see around me here… the kids, professionals… everybody wants it due to its usablity. I think Nokia a big mistake in downplaying everybody else, counting that its logistics engine will take care of the competition.. Let’s kill the competition with making the margins so low that the competition is force out and that is pretty much that happened to companies such as Motorola and a few others. This competitive edge is gone, as it is no longer about physical hardware, but more about software and what type of functionality the software provides. The other mistake that Nokia took was not to realize that software developers are the ones that make or break an mobile operating system.. not Nokia, not RIM or Apple. Look at the announcement today from ITViikko how the decicated Symbian Guru is moving on…. The race of mobile operating systems is about usability, access to a nice app store and the sexiness of developing to the platform and of course making money. I have never commented this strongly, but as a native Finn, I feel it is my responsiblity to give my opinion of this as I have lots of friends working for the company and it is hard to see the slide. Too little, too late, but I hope I am wrong about this. My views are from a US perspective, from the market that Nokia failed, not once, but many times. Are you ignoring your social networking?